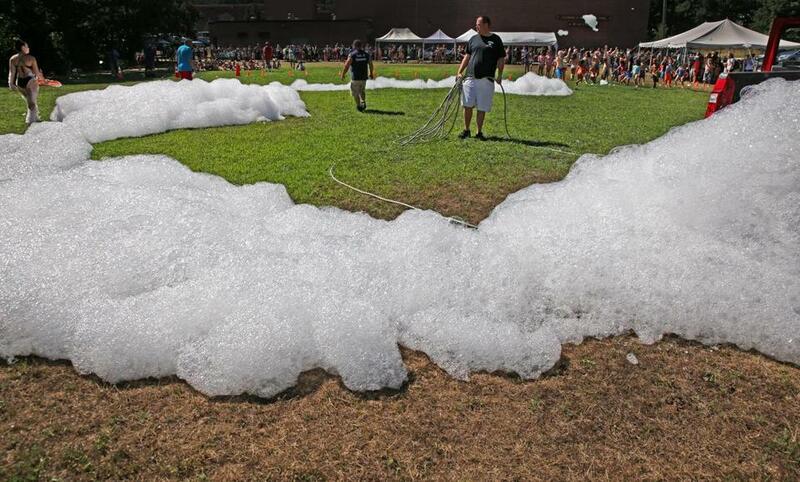 Asia Vo tried to move the suds onto the field. 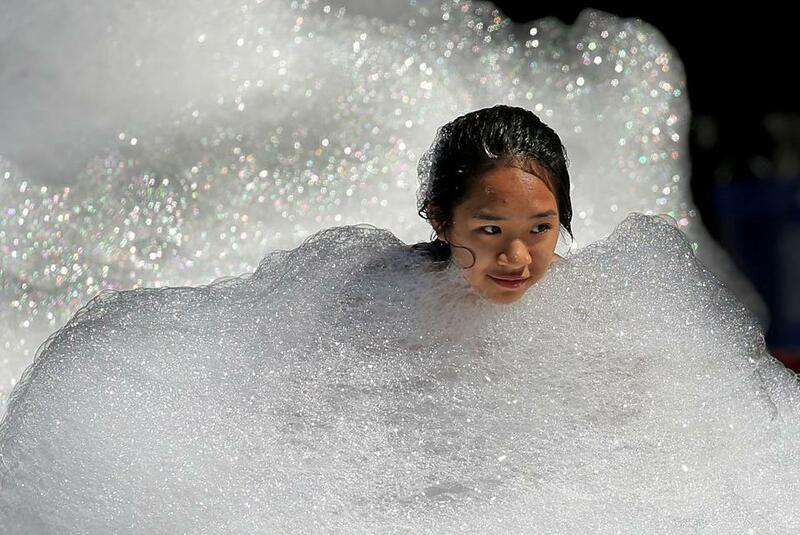 Officials hosted foam day at the Dedham pool on Wednesday, to the delight of many. 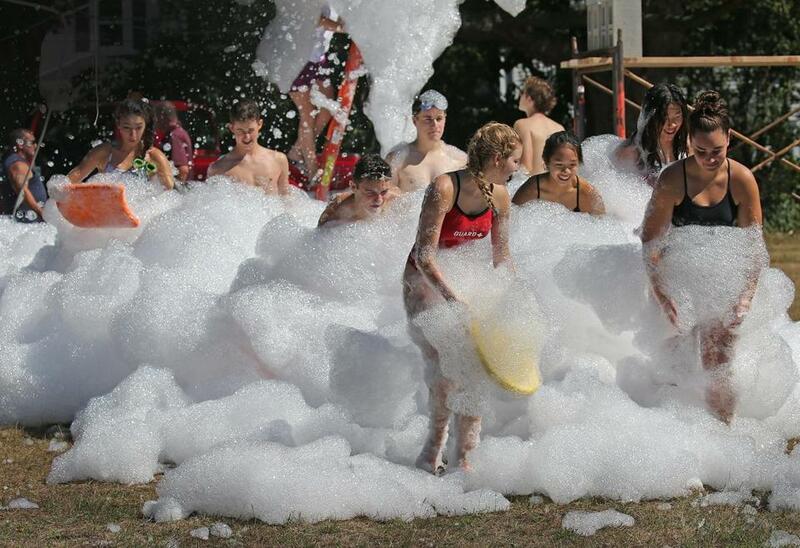 Co-hosted by the Dedham Recreation Department and the Dedham Fire Department, the event had one little problem: large fans blew suds onto the field with little success. Camp councilors and lifeguards had to use boogies boards, their bodies, and a table to move the suds onto the field, and quickly evaporated. Samuel Black (center) held a hose during the foam day event. John Hawes (left) and Mike Saliba used a table to move the suds.